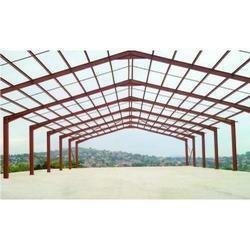 Prominent & Leading Manufacturer from Pune, we offer shed fabrication service. Our firm is providing Shed Fabrication Service to our valued customers. Presented service is accomplished employing the advanced technique. Owing to timely implementation and flexibility, this service is extremely admired in the market. Looking for Shed Fabrication Service ?